This casual, dive style restaurant will keep you coming back simply because of their food! Life at the Dock is easy, so sit back, relax, and enjoy some great grub at this original Greater Lafayette, IN restaurant. When you order at The Dock, go ahead and ask for some extra napkins. The Dock hooks their customers up with some of the best food around. We love the quality of the food here, but we also love the quantity. You’ll walk away feeling full and loving life. You’ll also be well taken care of by the personal and friendly staff. The menu has a wide variety of American cuisine favorites. 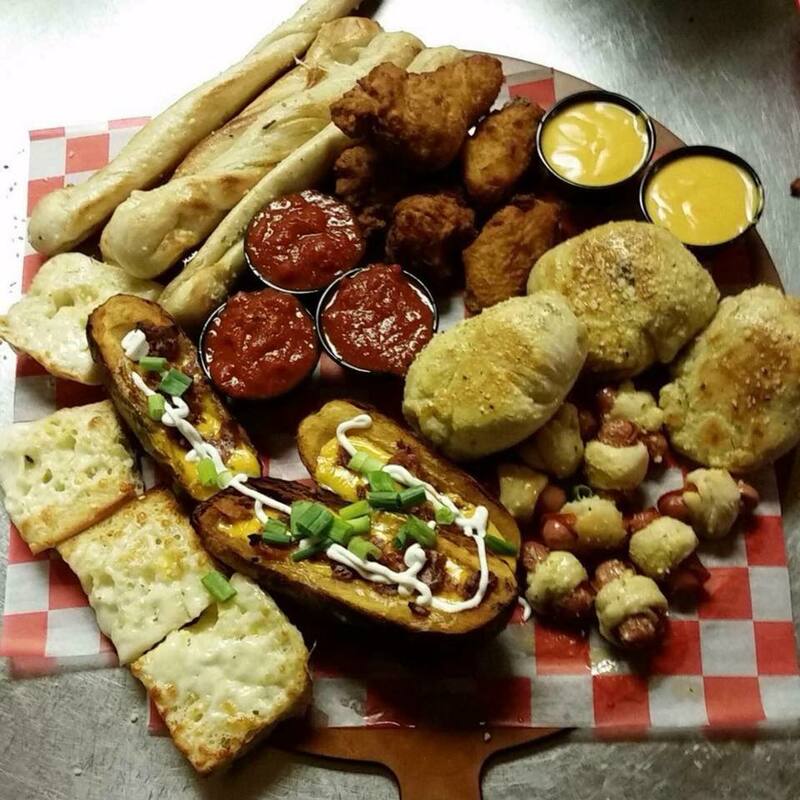 Burgers, pizza, tater tots, fries, Italian sandwiches, buffalo chicken sandwiches, and more are all on the menu. The pizza is delicious, and if you’re feeling adventurous (or especially hungry), check out the Dock Monster! It’s 3 (yes, 3) true 1/4 patties, loaded with the goods. You won’t be disappointed by the food here! Click here to view each location with their corresponding menu. The Dock’s original location stands in Delphi, IN. Currently, there are 4 other locations throughout the Greater Lafayette, IN area. Open Sunday – Thursday from 11:00 A.M – 9:00 P.M.
Friday and Saturday from 11:00 A.M. – 10:00 P.M. Reviews are available on Facebook, Google, and Yelp! Open Monday – Thursday from 11:00 A.M. – 9:00 P.M. Reviews are available on Facebook and Google! Open Monday – Thursday 11:00 A.M. – 10:00 P.M. Reviews can be found on Facebook! Located at the White Oaks RV Resort and only open during summer! Open Friday from 4:00 – 10:00 P.M.
Saturday and Sunday 11:00 P.M. – 10:00 P.M.